CommissionTrac is the first cloud based application of record for all things commissions and accounting for commercial real estate. Capture deal data and key transaction details, automate accounting functions and keep a pulse on everything with agent and management dashboards and reports. CommissionTrac is making their debut appearance as an exhibitor at CRE // Tech San Francisco. Our team at CRE // Tech recently caught up with CommissionTrac’s CEO, Turner Levison, to learn more about their site, strategy and vision. CommissionTrac is the first cloud based application of record for all things commissions and accounting for commercial real estate. Capture deal data and key transaction details, automate accounting functions and keep a pulse on everything with agent and management dashboards and reports. CommissionTrac is a back-office commission accounting platform for commercial real estate brokerages. Our customers range from NAI and Colliers offices to growing independent brokerages. Collect and pay commissions faster, reduce operational overhead, remove human error in accounting and commission distribution calculations. Watson. Leveraging our business partnership with IBM, we’ll soon be integrating Watson into the platform so agents, brokers and bookkeepers can simply ask Watson questions about their data for deep business intelligence insights. 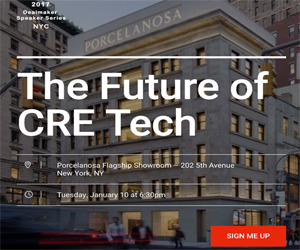 Come meet CommissionTrac at CRE // Tech Intersect San Francisco on June 8th and follow them on twitter @commissiointrac and facebook @commissiontrac!